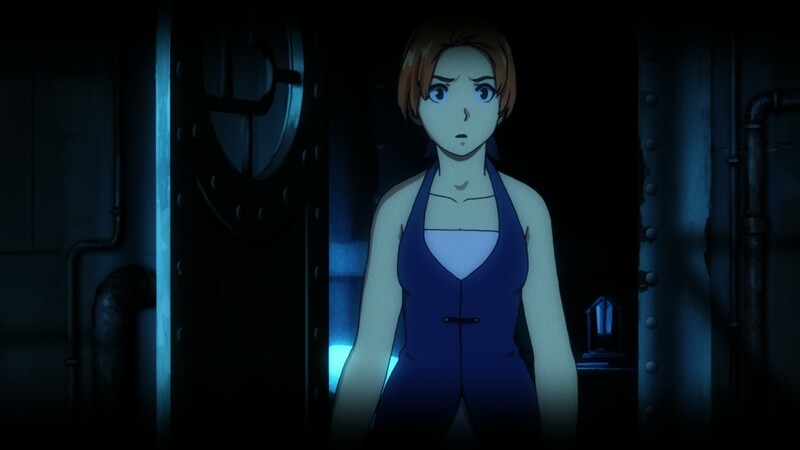 After seeing how Forgotton Anne looked in trailers, I knew I had to be the one to review it. I normally try to keep some of my opinions for later in the review, but everything about this game just screamed “epic fantasy adventure.” I have to agree with what a lot of other players say; it hit the same chords that Ghibli movies do with their fluid animation and grand stories with seemingly mundane objects. How did the grandiose storytelling translate to a video game though? Read on to see. I’ve already mentioned it but I might as well bring it up first, this game is absolutely gorgeous. The colors are vibrant and colorful, but also really dreary in a lot of places, showing the state of disrepair that the world has fallen into. I don’t usually notice it in a lot of games, but in this one the lighting is really brought to the forefront. It adds a lot of depth to the aesthetics of the game, and even works as a really cool mechanic in certain sections. I don’t know why but to me it looks a lot more realistic than it does in most games, and adds in a whole other level to the cartoon visuals. The character designs are really unique and memorable as well. They use real world objects, but turn them into something absolutely magical like a mannequin with a face on its chest, or a light bulb with a long coat and top hat. They not only look fantastic, but also give a little insight into the character before you even say a word to them. 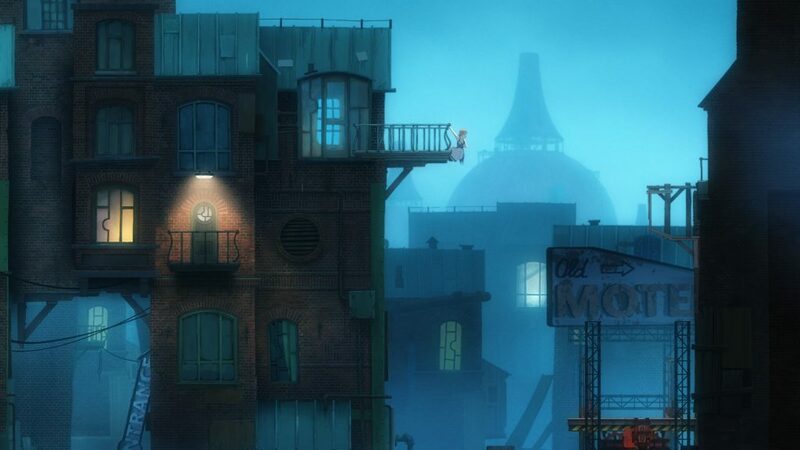 The backgrounds also do a lot to show that there’s something really wrong about the world you seemingly “know.” As you keep playing, the game shifts from these beautiful buildings to the dark and sinister underbelly of the city. It’s just so beautiful in every sense of the word. Not only are the visuals Ghibli-esque, but so is the actual story. The developers seem to have taken a mundane real world issue and turned it into something absolutely magical. The story follows objects that have been forgotten and transported to another realm. You follow the Enforcer, Anne, as she tries to stop the rebels and help Master Bonku finish the Ether Bridge, which is a device to help them all get back to the real world. However, soon you realize that Bonku may not be all that he seems to be. You’re given the Arca, a magical artifact to distill and instill objects, and are given countless choices on what to do or not to do with it. Your choices constantly affect the game, not only the obvious ones to distill or not distill the other Forgotlings, but also specific ones that affect how they see you overall. It really feels like you’re taking control of that world and not just going through it. 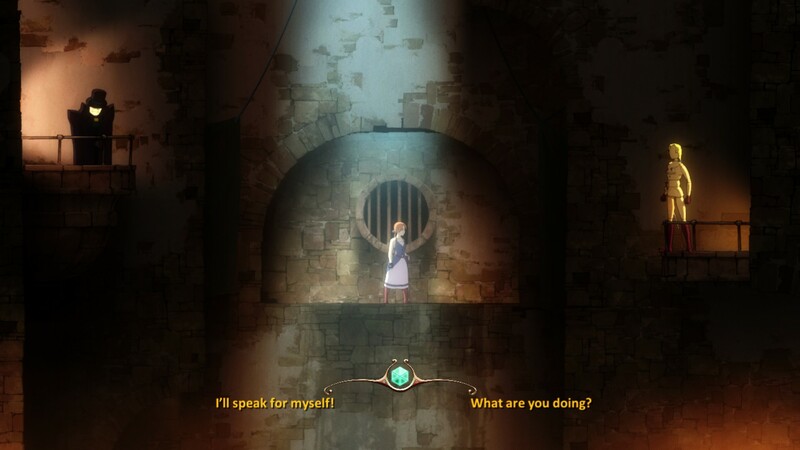 Forgotton Anne has a really well told story that tugs on the emotional heart strings almost constantly throughout. I’m beyond in love with this game’s story. It managed to keep me invested, and even wanting more by the time the game finished. They didn’t skimp on the sound design either. The music is absolutely stunning and breathtaking at times. There’s so much to love about it. Not only does it set the tone well, but it’s also just calming to listen to outside of the game. I honestly wish there was some kind of physical copy that I could purchase. The music also meshed really well with the amazing voice acting. While it may sound a little stilted at first, it soon begins to feel like you’re actually following the story of real people instead of game characters. Whether intentional or not, I very rarely see games do this nowadays and I’m always glad when I see it. I have no complaints in the sound department, everything works exceedingly well. Finally we get to the big thing that I saw a lot of people worried about, the gameplay. Honestly, this was really the only part about the game that didn’t feel too well thought out. That’s not saying it’s bad, it just ranges from painfully okay to frustrating at times. The jump timing seems really weird and sometimes I missed some jumps when I thought I should make it. Other than that it works for what the game needs. The puzzles are fine as well, but they aren’t really that complicated. The two main unique things about this game are the Arca and the wings. As stated before, the Arca allows you to instill and distill objects, while the wings allow you to do a really far jump when the Arca is full. The problem with talking about them is that they aren’t really used much. There are some specific areas that require you to use the Arca in clever ways, but as with the other puzzles they aren’t really challenging. They’re mostly about getting it from one area to another. Again, it’s not really bad in this department. It just could have used some more tweaking and maybe some more challenge. Don’t let that last statement deter you though, as I still adore this game. The story and characters are wonderful, and the music is absolutely breathtaking. Normally with games like this you only get about three to four hours of gameplay, but this game managed to rack up a full seven hours for me to beat. I still have the urge to go back and play it again just to get the other 14 or so achievements that I missed. At $19.99 this game is a must buy for anyone who loves a good story with some dark and soul-crushing undertones.